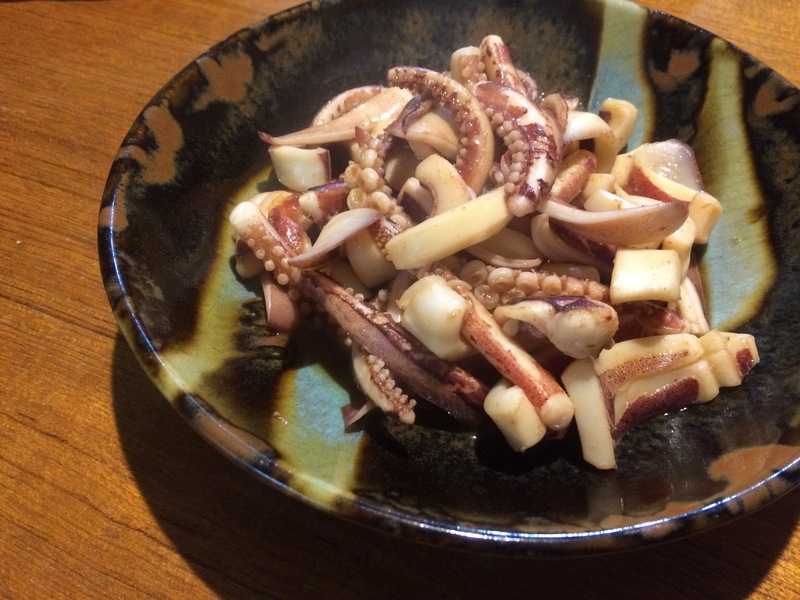 I got fresh surume-ika (Japanese common cuttlefish) last Friday to make shiokara. 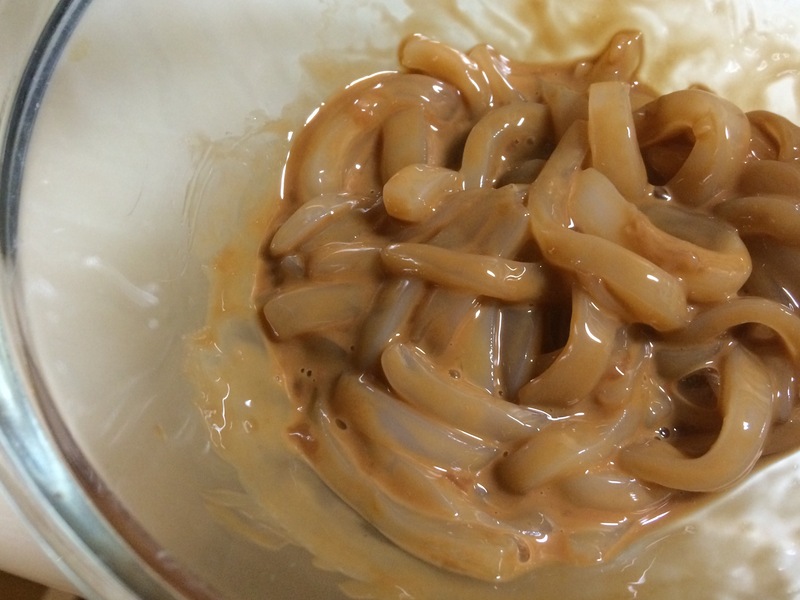 It’s one of the popular, unique Japanese foods. It has a special smell like anchobis. It is eaten as nibbles for drinks, with rice and can be used as an ingredient for a variety of dishes. Though it’s widely available at any supermarkets and restautrants, home-made shiokara tastes really different! 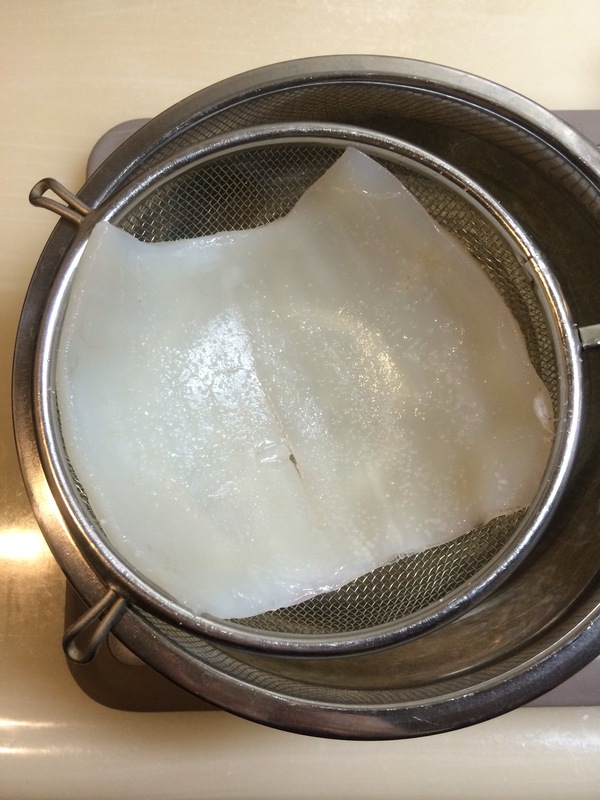 Take out livers from the cattle fish, clean and wipe off the moisture using kichen paper. Be careful not to break the liver. 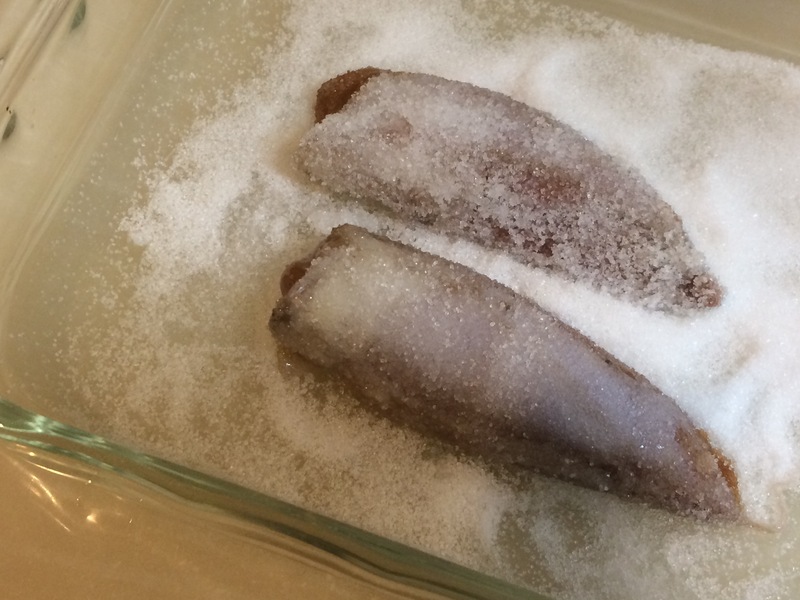 Pickle them in salt overnight in a fridge. 2. Separate the head and legs from the body – We just need one body for shiokara, so use these parts and another body for other dishes. Clean the body, wipe off the moisture using kichen paper and sprinkle salt on the surface. Leave it rest overnight in a fridge to drain. Be careful not to let it touch the drips in order to prevent the bad smell. 3. The next day, take them out of the fridge. Wash the livers and body very gently with water, again wipe off the mosture and take out the paste from the bag of liver. Cut the body and mix well with the liver paste, 1 tbsp sake and 1/2 salt. It’s a fermented, preserved food. It depends on the amount of salt and the way to take care of it how long it will last. I prefer letting them rest for a couple of days and eating up in a week. If you want to keep it for a long time, make sure to keep it in a clean bottle and mix it well once a day. 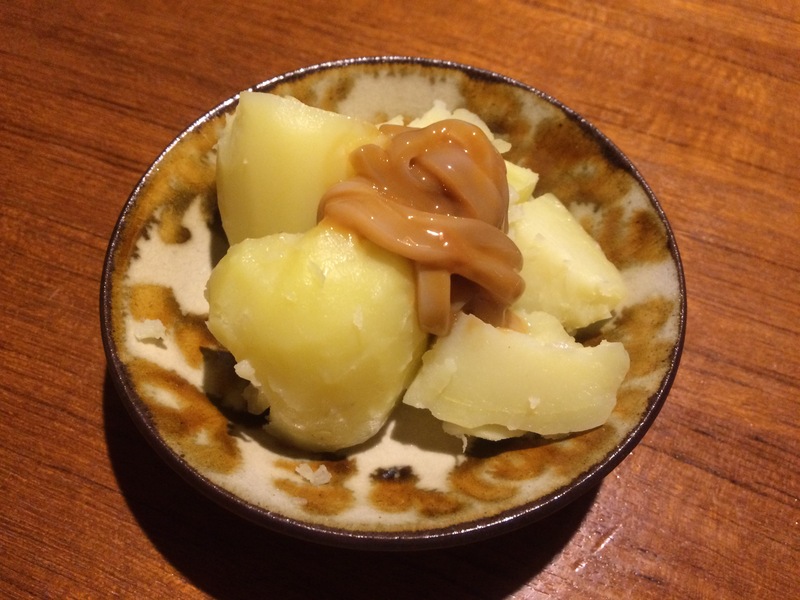 And here’s a very simple & quick recipe using shiokara – boiled potatos with shiokara & butter. You can also make a simple side dish, using the left-over parts of cattlefish. Heat the butter in a pan, stir fry cattlefish and flavore with soy sauce. The smell of soy sauce and cattlefish stimulates the appetite!